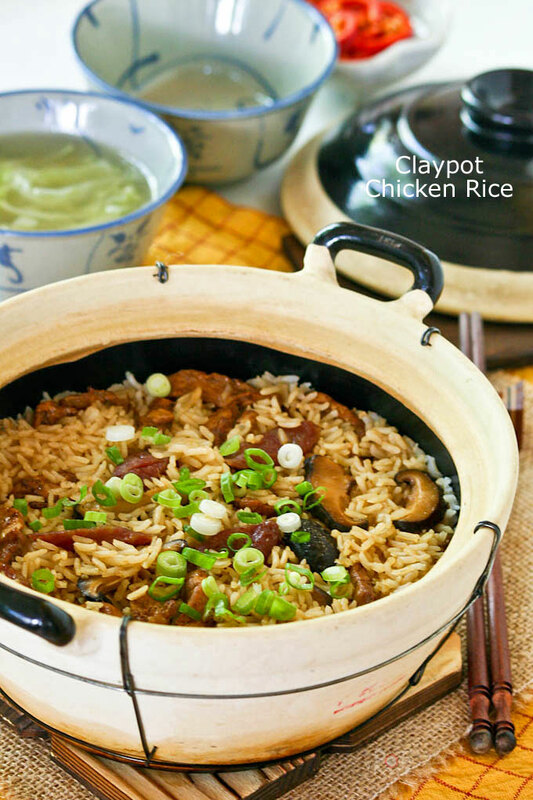 Claypot Chicken Rice is a delicious one-pot meal that can be easily prepared at home. The addition of mushrooms and Chinese sausage makes it even tastier. 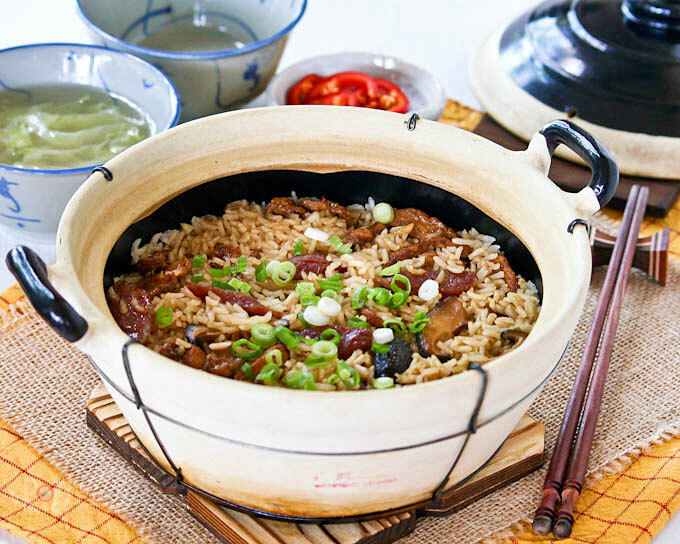 Claypot Chicken Rice is a very popular one-pot meal among the Chinese community in Malaysia. Although it is traditionally cooked in a clay pot, many use the electric rice cooker these days for convenience. I prefer to stay with tradition and continue cooking this this delicious dish in my well seasoned sand pot. I think it tastes better IMHO. The Chinese clay pot a.k.a. 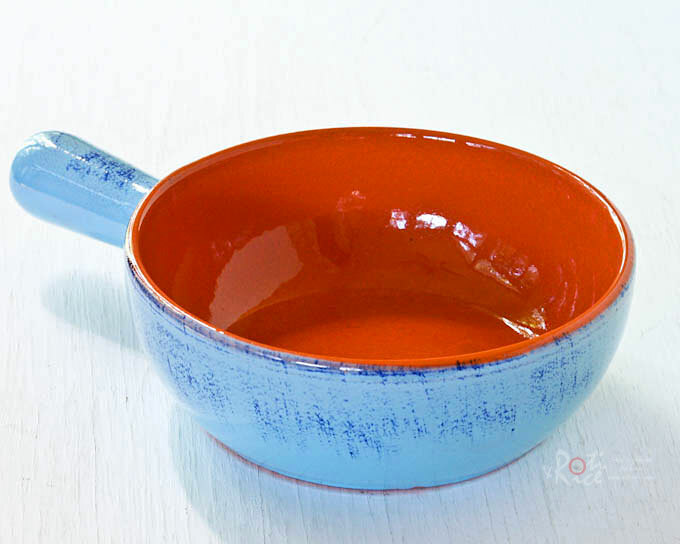 sand pots are indispensable in the kitchen and perfect for Claypot Chicken Rice. They are very inexpensive and easily available. They come with lids and are glazed on the inside and reinforced with wires on the outside. A well seasoned sand pot is a joy to use. With proper care, they can last a very long time. I have had mine for years. 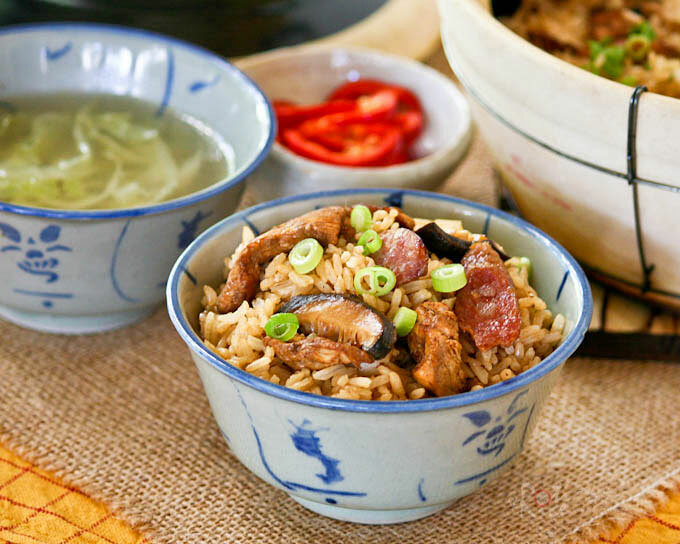 Claypot Chicken Rice is a mainstay at our house as it is quick and easy to prepare. I usually serve it with a clear vegetable soup for a simple, yet satisfying meal. A little of the soup is usually poured into the pot at the very end to help loosen the the slightly charred bits of rice. Nothing is wasted as this tasty rice soup is eaten as well. Place chicken in a bowl. Grate ginger over chicken. Add soy sauce and Shao Hsing cooking wine. Allow chicken to marinade for 30 minutes. Soak lap cheong in a pan of hot water for about 10 minutes. Casings should puff up. Remove casings and slice sausages at a diagonal. In a large clay pot, heat sesame oil. Fry lap cheong until lightly brown, about 2 minutes. Remove fried lap cheong, leaving the oil in the pot. Set aside. In the same pot, sauté minced garlic until fragrant. Add chicken and mushrooms. Stir fry for a couple of minutes. Add rice and dark soy sauce. Stir to mix well. Return browned lap cheong and continue to stir. Pour in chicken stock and bring to a boil. Add salt. Cover, reduce heat, and allow it to simmer until all water is absorbed, about 10 to 12 minutes. Turn heat down to the lowest setting, and continue to cook for another 5 minutes. Turn off heat and remove pot. Let it sit for 10 minutes before serving. Dish onto plates and sprinkle with sliced green onions. Claypot Chicken Rice is best served with a bowl of clear vegetable soup and a side of cut chilies drenched in soy sauce. Clay pots are wonderful vessels to cook in. They come in all shapes and sizes and many cultures have their own versions. 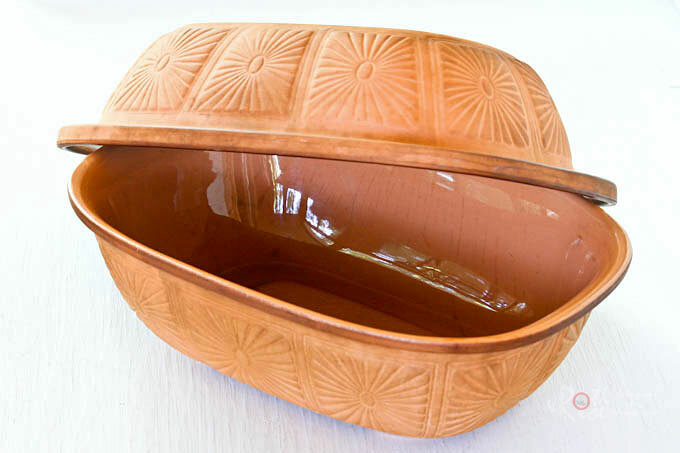 The Chinese sand pots, Spanish cazuela, Italian bean pots, Moroccan tangines, stoneware, and clay bakers are some that you can find out there. All kinds of food can be cooked in a clay pot but they are especially good for slow-cooked dishes. Always follow the manufacturer’s advice on the correct cooking method for each vessel. Some, like the Chinese sand pots and Spanish cazuelas can be placed on the stove top. Always use low to medium heat. Once the pot comes up to temperature, it requires very little heat to continue with the cooking. Others, like the clay bakers need to be completely submerged in water for 15 to 20 minutes before use. They are never put on the stove top but placed in a cold oven and brought up to temperature. The slow evaporation of the steam in an enclosed environment results in increased flavor and very tender and juicy meats. NOTE: This post was updated on August 30th, 2013 with new pictures. I've never heard of a clay pot, but I can't wait to get one! We just sold our house, and life is crazy. I need some one pot meals! That looks so much like Cantonese rice claypot! mmmm..yum! Oh, that looks delicious! 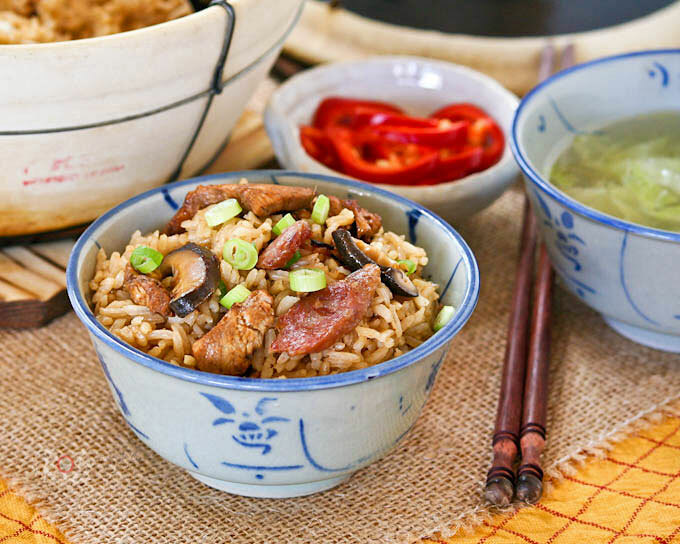 I adore Chinese sausage, as well as the ease of a one pot meal! WOW this looks soooooo good. I love love LOVE chinese sausage — this is definitely comforting to me. I can only imagine how savory this dish must taste! 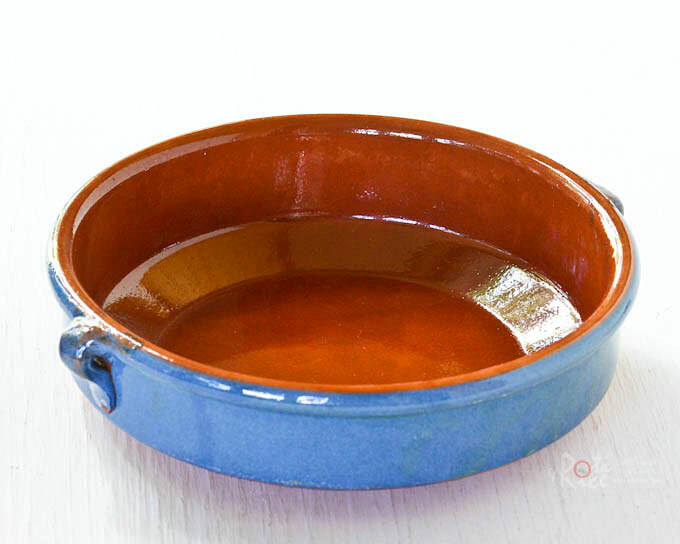 Mother Rimmy – I enjoy cooking in claypots and love their rustic look. All the best on your move. Angie's Recipes – My family loves this dish. I sometimes vary the ingrdients a little but it all taste good. 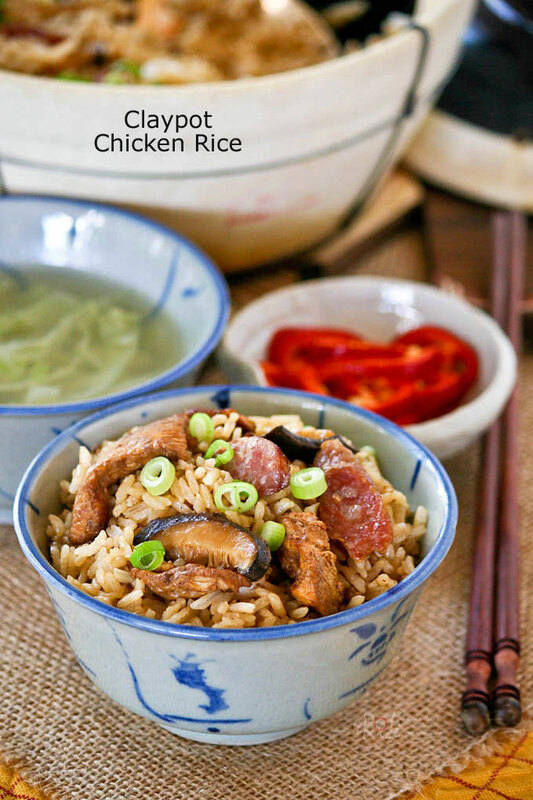 Anncoo – Isn't claypot rice just the best? So easy to prepare and so tasty. Sarah Naveen – Thanks Sarah! Still learning to get the right angle on the pix. Glad you like them. Liren (Kitchen Worthy) – One pot meals are the best! Thanks for visiting and I hope you will make return visits. 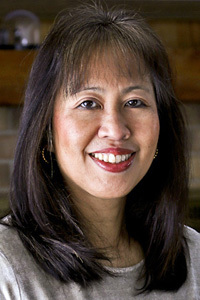 Joy – Thanks Joy! Chinese sausages are delicious and this is like comfort food especially with a bowl of soup. What an amazing meal in a claypot! Superb! This looks excellent! I love the convenience of one-dish meals. I bet it was very tasty cooked in your claypot. It looks great! 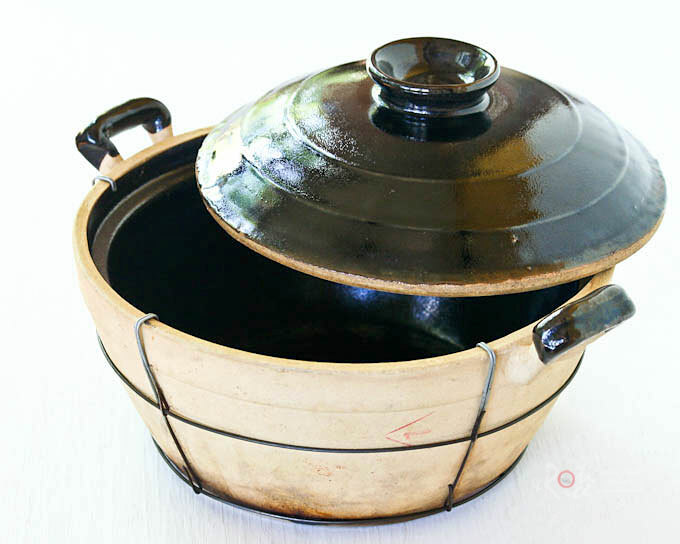 I used to play kitchen with claypots but you know what i’ve never cooked in a claypot yet. i would love to have one and cook this claypot rice. it sure does come handy in a busy week.